Matt Berninger has revealed that he is working on a TV series about his music and life. The singer-songwriter for The National delivered the news alongside bandmate Aaron Dessner on Zan Rowe’s Double J radio show. 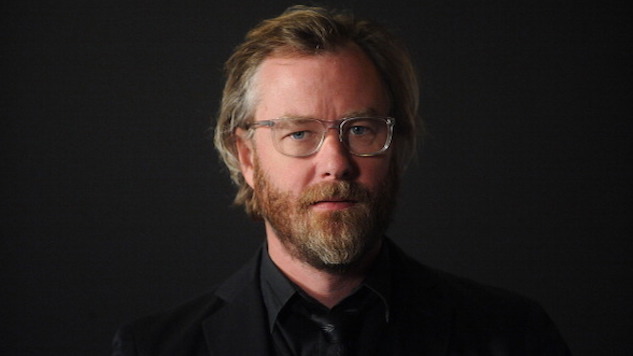 Berninger, along with his brother, actor-director Tom Berninger, and wife, writer Carin Besser, will be teaming up with Australian director Trent O’Donnell (Brooklyn Nine-Nine, The Good Place) to create a half-hour comedy based on the musician’s experiences in music and life. Both the Berninger brothers are said to be starring in the TV show as themselves, with Matt Berninger being backed by a fictional band which was partially cast by Dessner, pulling from musicians who had worked with him on a 2016 Grateful Dead cover album. Some acts reportedly set to appear on the series include The War on Drugs, Courtney Barnett, Mumford & Sons, Wilco, The Walkmen, The Flaming Lips and more. Dessner himself is said to have a possibly minor role, playing a producer in the show. There’s still a long way to go before this rockstar-inspired TV series becomes a reality. Berninger added in the Rowe interview, “It won’t see the light of day this year. So, that’s how far along it is.” This comes as no surprise, as The National are surely keeping busy following their recent Grammy win, with extensive tour dates lined up in support of Sleep Well Beast. In the meantime, revisit Matt Berninger and Andrew Bird covering Lou Reed’s “Perfect Day” right here, and listen to The National’s 2007 Daytrotter Session below.